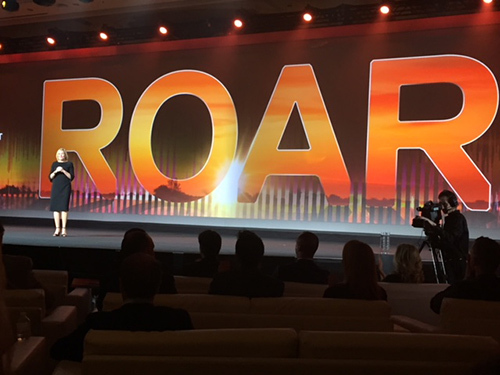 Global Partner Summit 2018: We are loud. Proud. Fierce. And strong! We’re now into our second year as a combined Dell EMC Partner Program. Yet, as Joyce Mullen, President, Dell EMC Global Channel, OEM & IoT, announced, we are just getting started. 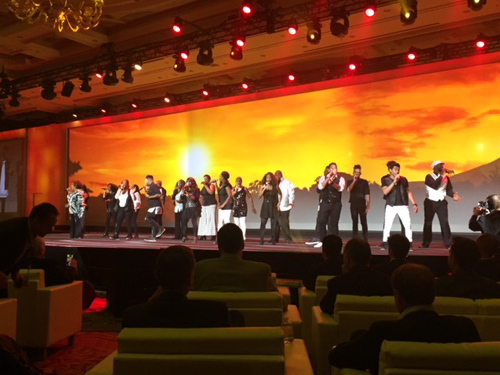 Performers from the singing group Revelation opened Global Partner Summit 2018 with a fierce sound that matched the energy of the session. Throughout the keynote session of Global Partner Summit (GPS) at Dell Technologies World 2018, Mullen shared her vision for the Global Channel organization. Mullen spotlighted some of the strong wins that our Dell EMC partner community has achieved in just the first fifteen months as a combined community, including the addition of 54,000 new customers, 400,000 registered and approved deals and 100,000 newly earned partner credentials. Of these extraordinary partner wins, Mullen declared, “Thank you for your incredible partnership! Let’s hear you ROAR!” The GPS audience response was both enthusiastic and deafening. Throughout the session, a number of guests joined Mullen on the GPS stage, including: Michael Dell, Chairman and Chief Executive Officer, Dell Technologies; Jeff Clarke, Vice Chairman, Products & Operations, Dell; Cheryl Cook, Senior Vice President, Global Channel Marketing, Dell; Scott Millard, Vice President, Global Channel Specialty Sales, Dell EMC; and Jay Snyder, Senior Vice President of Global Alliances, Service Providers and Industries. Joyce Mullen: There’s never been a better time for you to be part of our pack. Our pride. Dell EMC is steadfast in our commitment to a Simple. Predictable. Profitable.TM partner program; and welcomes and acknowledges partner feedback. To that end, Mullen shared a series of imperatives that will help make it easier for partners to do business with Dell EMC. Likewise, the announcements made throughout the GPS session supported these imperatives; and will help enable partners to achieve success both today and into the future. For Dell EMC partners, learn more or enroll in the MyRewards program. In addition to the new Solutions Competencies, Dell EMC will also expand services deployment competencies, which enable partners to grow faster and increase revenue. Read more on key channel announcements today, here. Global Alliances and their Partners have seen an overall growth of 28% year over year. Synder recognized this success and challenged partners to commit to an “Acceleration Strategy” that will help drive even greate success in the coming year. “This is our time and our chance to make history. This revolution is challenging our customers at a pace never seen before. And this means opportunity—big opportunity—for us,” Snyder declared. Dell Technologies Chairman and Chief Executive Officer, Michael Dell joined Joyce Mullen on stage to discuss his commitment to the channel—and the opportunites today—and ahead—for Dell EMC partners. “Dell Technologies is uniquely positioned to be your best partner for the future.” And, as Joyce Mullen noted earlier in the session, the opportunity is massive—a total addressable market of $3.7 trillion. Because, together, we are truly unstoppable.